What a marvelous night for a moonset! 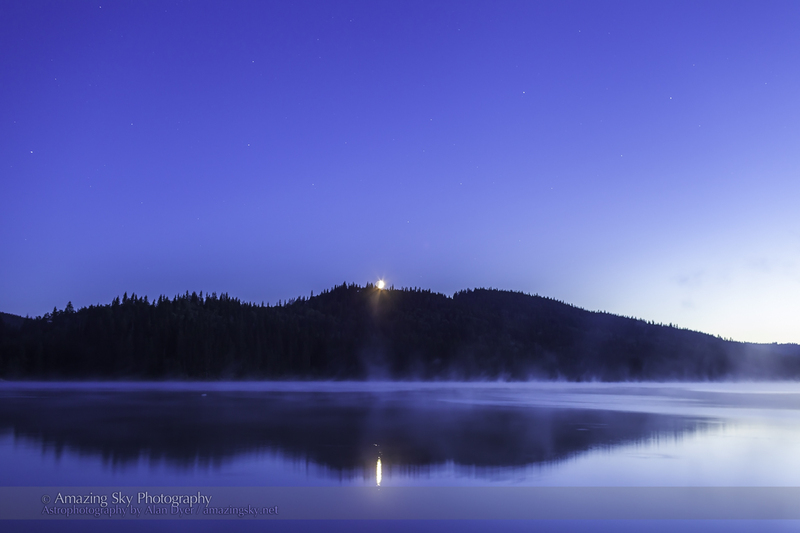 Saturday night was one of the finest nights for nightscape shooting I’ve had in a long time. 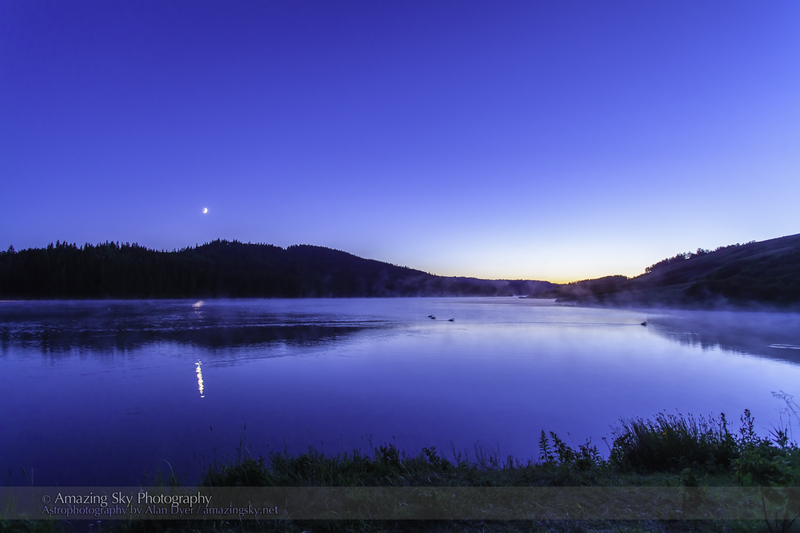 I started with shots of the waxing Moon setting over Reesor Lake, one of the lakes in Cypress Hills Interprovincial Park, on the Alberta side. Water from this lake drains into the Milk River and then into the Missouri, and Gulf of Mexico. It one of the few bodies of water in Alberta that feed the Mississippi watershed, with the Cypress Hills acting as a continental divide. 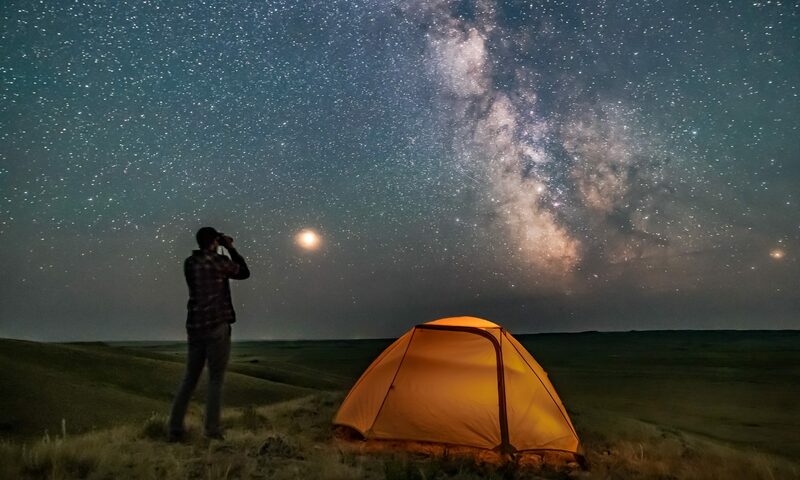 I set up two cameras, each shooting a twilight-to-night time-lapse sequence showing the Moon setting behind the hills and the stars coming out. I filled up one card with 600 images. Luckily, the other camera still had space left for what was still to come later that night. One sight was the beautiful auroral arc I featured in my previous blog post. I’ll have more tomorrow, of the Milky Way over the lake. It had rained earlier in the day so the air was humid. Mist covered the lake as night fell. In the scene above, a small fleet of American pelicans also glide by. Watching the peaceful scene while monitoring the cameras clicking away provided one of those magical moments that makes doing this photography worthwhile, regardless of the results. The mist was swirling, the stars were coming out, I put on some music on the iPhone and on came a Chopin nocturne. Perfect.